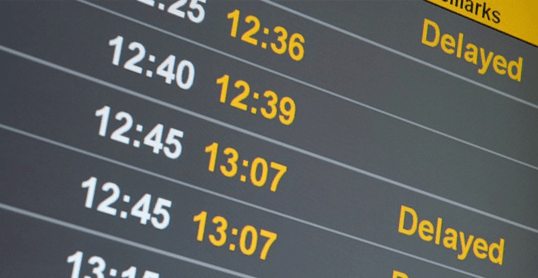 Is your flight delayed, overbooked or cancelled and did you arrive more than three hours delayed at your destination? According to Regulation 261/2004 you are possibly entitled to an allowance for the loss of time. These amounts vary from € 250,- up to even € 600,- per passenger! Storms, thunderstorms, heavy rain but also thick clouds can disrupt air traffic. 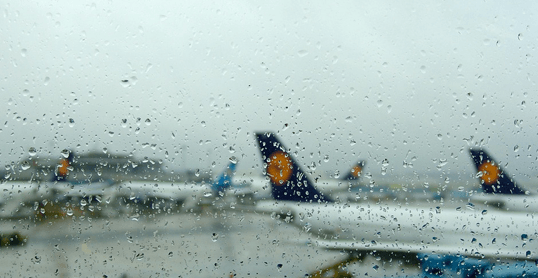 In the case of bad weather usually multiple flights departing from the same airport are affected by this. Any strike, no matter if it’s by a third party or the airline’s own staff, is considered an extraordinary circumstance. 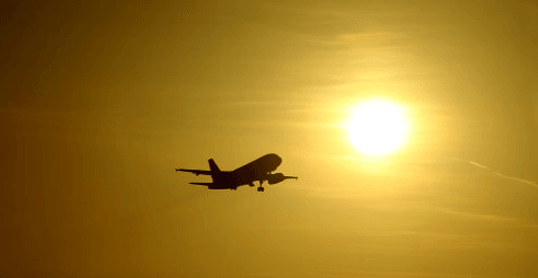 If a passenger is taken ill during a flight and the flight has to make an emergency landing at the nearest airport, you are not entitled to compensation for the delay. In case of a terrorist attack we also speak of an extraordinary circumstance. IN WHICH CASE CAN’T THE AIRLINE CLAIM AN EXTRAORDINARY CIRCUMSTANCE? Often confused with each other are ‘extraordinary circumstances’ and circumstances that are not the ‘fault’ of the airline. A technical defect can occur spontaneously. For example, a flat tyre. 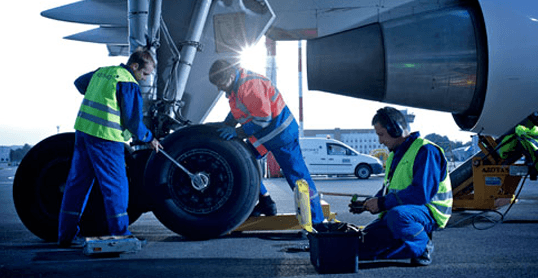 The airline is responsible for the maintenance of the aircraft and many technical faults can be prevented that way. 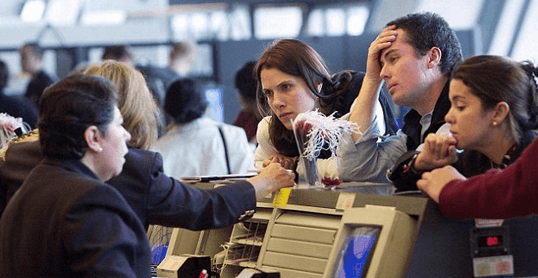 Technical defects that cause delays over three hours are not considered extraordinary and in this case passengers are legally entitled to compensation. Below we give you some examples of situations where the airline cannot claim an extraordinary circumstance. Unfortunately technical defects are a common occurrence in daily aviation. The airlines are responsible for the maintenance of their aircraft and for rearranging flights at short notice. Passengers are entitled to compensation if a technical defect causes a delay of more than three hours. The word previous says it all. A delay on the previous flight due to bad weather (except in certain circumstances) has nothing to do with your flight. Is this the reason you were given for a long delay? Then you may be entitled to compensation. Crew sickness is a risk every operating business has to deal with. The airline is responsible for a standby crew. Again, this is not considered as an extraordinary circumstance.  If the airline is responsible for the delay, you are legally entitled to claim compensation. The amount you are entitled to is calculated based on the flight route, rather than the price of the flight. We offer a quick, easy and risk free way of claiming the compensation you are entitled to. We take care of every step of the process, saving you the near impossible task of collecting all the data and completing the complex paperwork on your own. Our process is easier and more efficient than claiming compensation directly from the airlines or through the Civil Aviation Authority (CAA) yourself. To assert your claim, both legal knowledge and a vast array of information are required. This is information that neither you nor your solicitor are likely to have access to. We have access to a detailed database which evaluates over 13 million items of data on flights, weather and sociopolitical issues every day. With the help of this data, we can accurately check whether you have a right to compensation, or whether an airline can indeed cite “extraordinary circumstances”. 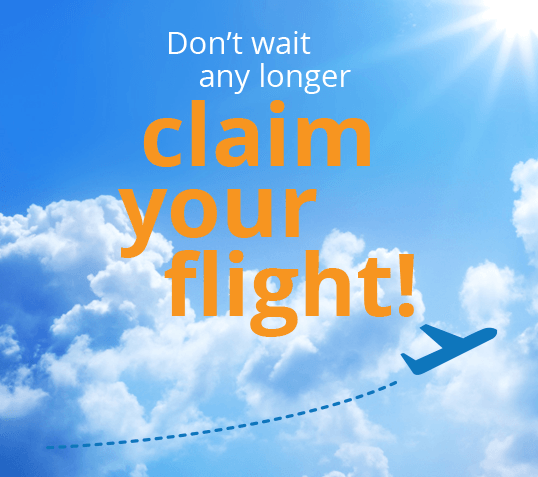 We handle your claim on a no win-no-fee basis and represent your interests as an air passenger. Even if your case progresses to court, you will not bear any solicitor or court costs. There is no risk and you can only gain money by using our service. You only pay us commission if we win your case at a rate of 25% incl. VAT, and a flat-rate handling charge of € 25 incl. VAT per claim.